She's only a number now. When Charlotte Smith's wealthy parents commit her beloved sister Phoebe to the infamous Goldengrove Asylum, Charlotte knows there's more to the story than madness. She risks everything and follows her sister inside, surrendering her real identity as a privileged young lady of San Francisco society to become a nameless inmate, Woman 99. The longer she stays, the more she realizes that many of the women of Goldengrove aren't insane, merely inconvenient -- and that her search for the truth threatens to dig up secrets that some very powerful people would do anything to kep. 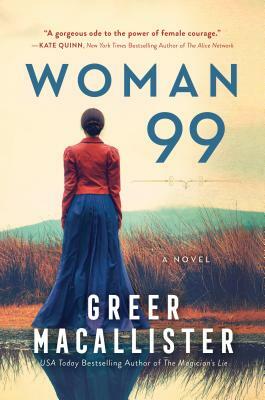 A historical thriller rich in detail, deception, and revelation, Woman 99 honors the fierce women of the past, born into a world that denied them power but underestimated their strength.